Becoming a first-time dog owner is exciting but it can also be a bit overwhelming. There are so many different dogs out there and it's hard to know how to choose the right one. Before you take home the next adorable puppy you see, there are a few things to consider. Make sure you can provide enough exercise for your new dog. If you are looking for a lazy lap dog, then it's best to avoid high-energy dog breeds. It takes work to care for puppies. They need housetraining, socialization, obedience training and frequent vet visits. If this sounds like too much, then perhaps an adult dog will be a better fit for you. Consider adopting a dog from a rescue group that has a foster program. These dogs have lived in foster homes and many are already housetrained and well-socialized. Talk to the volunteers and employees about the temperaments and needs of their adoptable dogs. A good rescue organization can help match you with the right companion. All dogs have basic needs, but some dogs need more care than others. Consider how much extra time you have to meet these needs. You may actually prefer a lower-maintenance dog breed as your first one. There are hundreds of dog breeds out there. Fortunately, each dog breed has a relatively predictable size, energy level, and grooming need. While each dog is different, there are personality traits associated with dog breeds. These traits can help you select a dog that fits your family and household. 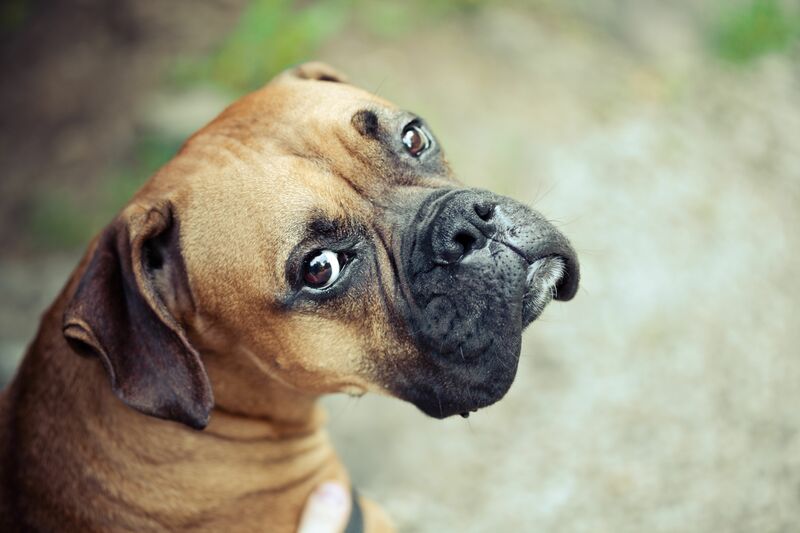 If you are looking for a medium-large high-energy dog, look no further than the playful Boxer. This is a loyal dog that forms a close bond with family. If you lead a fairly active lifestyle, a Boxer could be right for you. This breed needs plenty of exercise and a strong foundation of training. The Boxer's grooming needs are very basic. Though young Boxers can be a little hyperactive, they are not difficult to train and they enjoy the attention. Once trained and socialized, Boxers will thrive in active households and can get along very well with kids. Guardians by nature, Boxers are naturally protective of their families, especially children. The Yorkshire Terrier is a great "starter dog" for those who want a little lap dog. However, you must be attentive to the grooming needs of this breed. Yorkies have continuously growing hair that must be brushed and trimmed regularly. If you have the time and budget for regular groomer visits, it will be fairly simple to keep your Yorkie in good condition. The Yorkie has a moderate energy level and only needs basic exercise. Daily walks are great for this breed. Yorkies also need a solid foundation of training. Without structure, these little dogs can be stubborn and vocal. Train your Yorkie as you would train a big dog. This will help strengthen the bond between you and lay down boundaries. The Yorkie will be your friend for life. This breed is affectionate towards its owner and may even act protective around strangers. The Bichon Frise is a happy-go-lucky little dog that looks a bit like a bouncy cotton ball. This breed is an all-around great companion. Bichons are fairly easy to train and adapt well to any lifestyle. Be sure to dedicate the time and money to regular groomer visits. This breed has a curly coat that must be trimmed regularly and brushed carefully. For a lower-maintenance coat, keep your Bichon's hair trimmed short. The Bichon is a great dog for families with children or apartment living. Daily basic exercise is enough to keep this breed happy and healthy. The Labrador Retriever is one of the most popular and recognizable medium-large dog breeds. Labs are deeply loyal and affectionate dogs that form close bonds with their families. This breed is active, playful and smart. Labs thrive in active households that can provide plenty of exercise and training. Labs love to learn and can be trained to do almost anything. You can play fetch for hours or go for a run with your Lab, then end the busy day snuggling on the couch. Without plenty of exercise and mental stimulation, Labs may get bored and act out, especially during their younger years. Labs also tend to love all food and can easily become overweight if you are not careful. Fortunately, they only have minor grooming needs. Brush your Lab regularly to minimize shedding. If you take good care of your Lab, you will have a happy, lovable companion for life. Labs adapt well to most environments and are excellent with kids. Don't let the diminutive frame of this dog fool you. The Papillon is a hardy little dog that enjoys a somewhat active lifestyle. This cutie can be both your lap dog and exercise partner. The Papillon does not need a lot of exercise but does enjoy a chance to play and run around. The breed is easy to train and requires only moderate grooming. This happy, friendly and adaptable dog breed can do well in a variety of households. The Papillon even gets along well with children, but kids must be gentle with this petite dog. The Pomeranian is a dainty and sweet little lap dog. This breed is bright and moderately active with a big fluffy coat. Fortunately, this coat is not as high-maintenance as it looks. Regular brushing is generally all you need to keep your Pom looking good. Daily basic exercise is generally enough to keep your Pom happy. Poms need basic training to provide structure and boundaries. Without training, the breed's feisty and stubborn side may come out. Fortunately, they respond well to consistent, positive training and will thrive because of it. The Pom often bonds closest to a single owner but can still do well in families. This breed is better with gentle older kids but can adapt to many situations. The Poodle is a well-known, popular and versatile dog breed. This breed is available in three sizes: Toy, Miniature or Standard. All are very intelligent dogs that respond well to training. The Poodle needs to be groomed regularly to maintain the curly, continuously growing coat. Poodles are very energetic dogs, They need plenty of exercise and mental stimulation. With proper care, you are likely to find this breed to be a wonderful companion. The Poodle is very adaptable to its environment and can do very well in a variety of households, including those with children. The Cavalier King Charles Spaniel is a sweet affectionate dog with a puppy-like appearance. This breed is small but not tiny and has a gentle demeanor. The Cavalier's moderate energy level means basic daily exercise is typically enough to maintain health. Despite a medium-length coat, this dog's grooming needs are basic. Regular brushing is important to avoid tangles in the hair. The Cavalier needs basic training and responds to it well. This dog is elegant, attentive and generally quiet. Cavaliers can thrive in all kinds of households and tend to get along well with children of all ages. The Golden Retriever is the quintessential family dog. This medium-large dog is happy, loyal, affectionate and active. Goldens are smart and adaptable dogs that can thrive in most households. The breed does need regular brushing to keep its coat free of tangles and mats. Goldens also need a good amount of exercise to keep them in good physical condition and prevent boredom. Training is essential but not difficult. They love to learn and can be trained to do a number of things. Golden Retrievers are eager to please and love spending time with their families. They are excellent with children of all ages. Its no wonder this is one of the world's most popular dogs! When considering which breed is right for you, it's important to remember mixed-breed dogs. These one-of-a-kind dogs can make wonderful companions. By adopting a mixed-breed dog, you are also helping to reduce pet overpopulation in shelters. If you are not sure which breed is right for you or you want a combination of breeds, visit your local shelter or rescue group and meet some adorable mutts. Workers can help you find a dog with the traits you desire. Training, exercise, and grooming are necessary for all dogs, but the needs of a mixed-breed dog will vary based on its unique makeup.